Vida Vegan Con is heading to Texas a little early! Two of your friendly VVC co-founders, Janessa and myself (jess) will be in town in just a few days for a bunch of meetings, requisite breakfast tacos and to represent our upcoming vegan weekend at the one-and-only Texas Vegfest. We’re coming for ya, Austin! Vida Vegan tables @ Texas VegFest! Texas VegFest is a free public education event that celebrates the health, environmental, and animal welfare benefits of a plant­based diet. More details here. Come stop by our Texas VegFest booth! The two of us (Michele’s gonna be holding down the fort in Portland) will be tabling and selling tickets to Vida Vegan Con’s opening day Vegan Bazaar on Friday, May 29th with a very special ticket deal. This brand-new Vegan Bazaar is a whole new element we’re packing into Vida Vegan Con weekend, where we open our doors to the public…during the day! Every conference, we hear from folks outside of Con-land who want to meet our exciting exhibitors, attendees who wanted to bring their friends and family by for a visit, and from more & more vendors of all sizes who wanted to get involved. This way, we can fit everybody in! Plus, who could pass on a full day of even more vegan samples and food trucks parked right outside?! OF COURSE, all registered Vida Vegan Con attendees (and speakers) are already on the door list and receive an exclusive first hour from 12pm-1pm. Want to grab your own ticket and see what’s in store? Head right here. Now that we’ve got the details out there, it’s time to pack. We’ve pricelined. We’ve unearthed our suitcases. 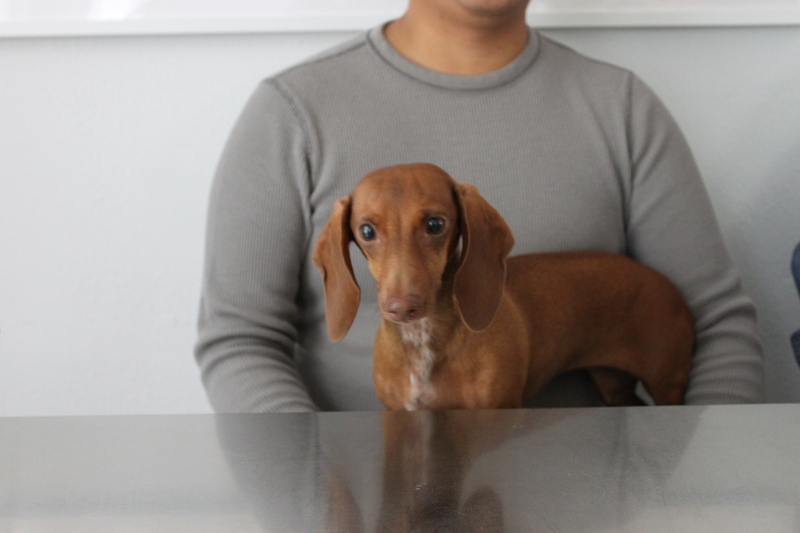 We’re thinking about tacos. Our stomachs are seriously beginning to growl. Janessa can’t wait to get her hands on their Del Rey taco! This vegan take on the classic fish taco has (gluten-free!) mock fish, cilantro crema, cabbage slaw and avocado. I’m estimating about four exclamation points’ worth of anticipation from the level of excitement she stated. Fufu! You know, the “ancient african dish [that] is a thick paste usually made by boiling starchy root vegetables”. Bonus: It’s even better while enjoying the company of Marie & Dan of Red Hot Vegans. You signed up for their VVC Scavenger Hunt, right?! For the record, this truck was gearing up to relocate when we last visited, so make sure verify the current address. Booze wise, it was rather chilly while we were in town this past February, so I held out on a margarita in favor of sipping house-infused whiskey outside the firepit at Buzzmill with Michele, Smurfy & Joanna. 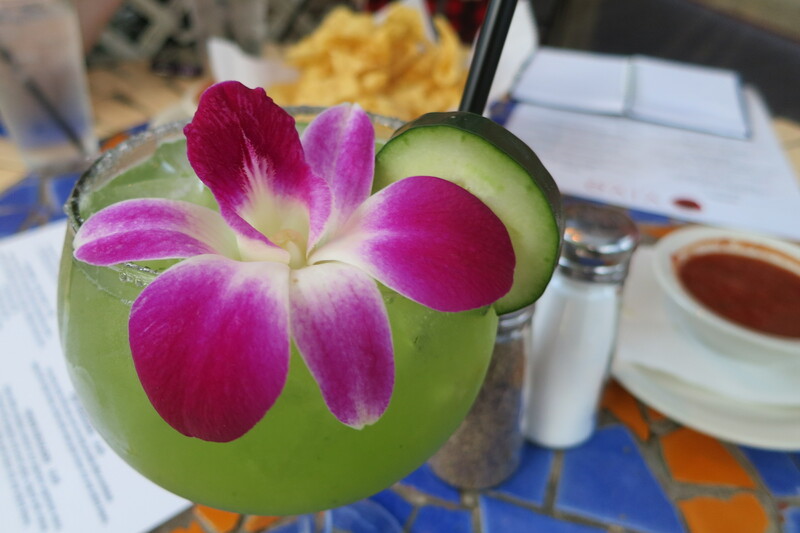 Therefore, I would really appreciate a gorgeous margarita in my life next week (forecasts of thunderstorms, be darned). And fine, throw in a puffy taco plate, especially if we pop into our Friday Bazaar venue just next door from Vivo, The Marchesa. The more you know…both Buzzmill and Golden Spike, where we’re holding Thursday night’s open VVC weekend Meet & Greet, have promised to offer both vegan food and drink specials during the ‘Con. Thanks, folks! Wondering just what else is Team VVC excited about? 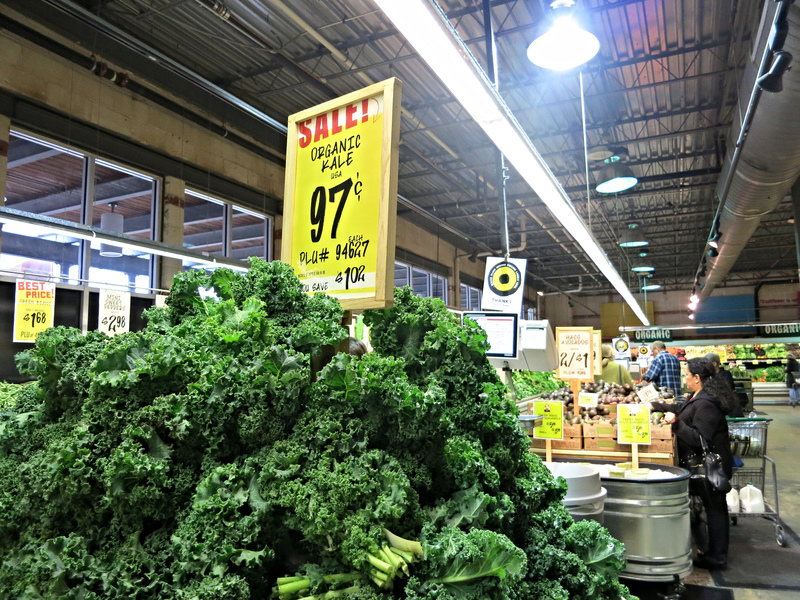 Another super new must, Rabbit Food Grocery! 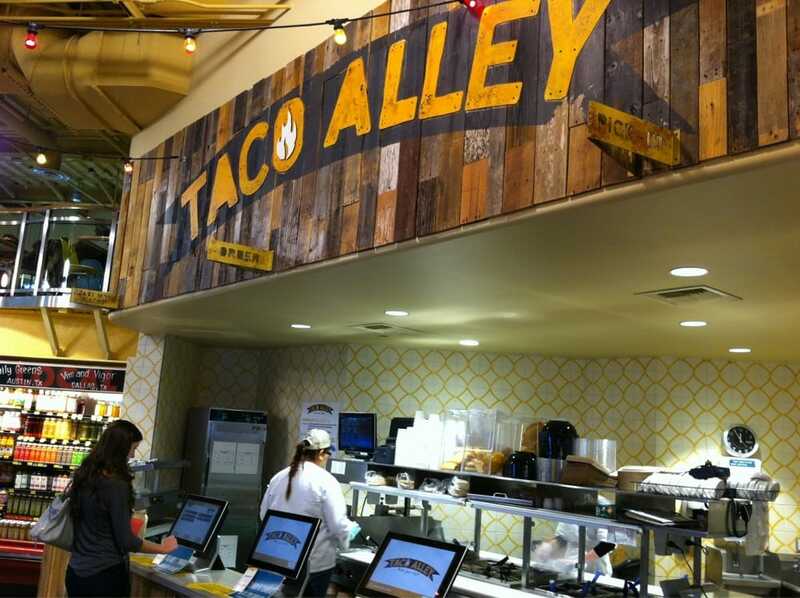 We just dig Whole Foods’ downtown taco bar so much. There’s a taco computer, for crying out loud! Did you know that Whole Foods is from Austin?! 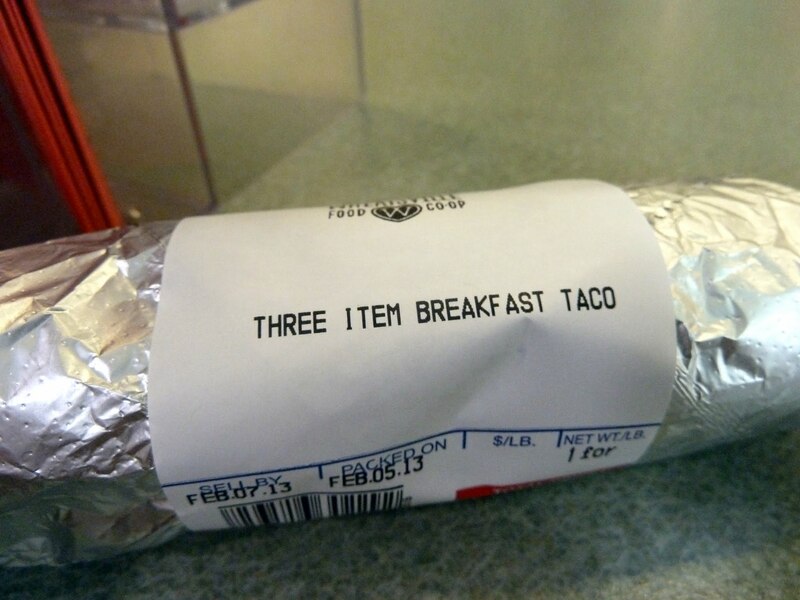 So you know it’s gonna be good. While she’s not joining us until VVC itself, here’s what my wife has to say about who she wants to see in Austin: “All the dogs and kids I know from Instagram in Texas!” You heard it here, folks (and by that I mean, Smurfy and Milo). 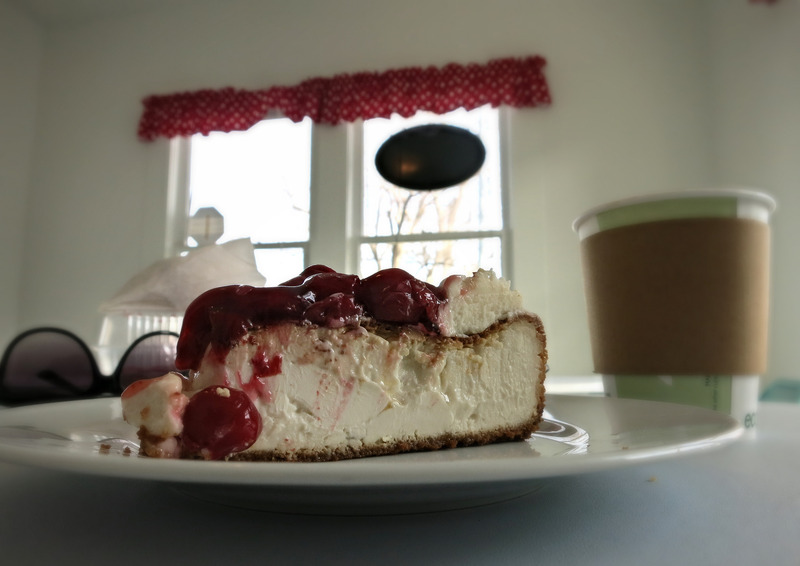 …because let’s be real, you’ve surely seen Capital City Bakery’s Instagram account, and she had no issues with me eating cheesecake for breakfast. 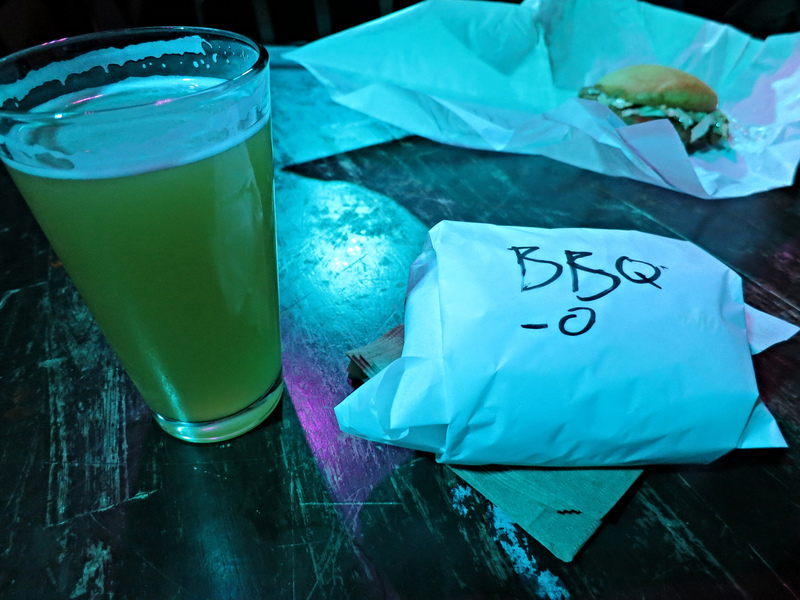 One more for the road, which was actually our very first stop in town back in February: Arlo’s! I know, I know, we’ll go for the bacun cheeseburgers next time. 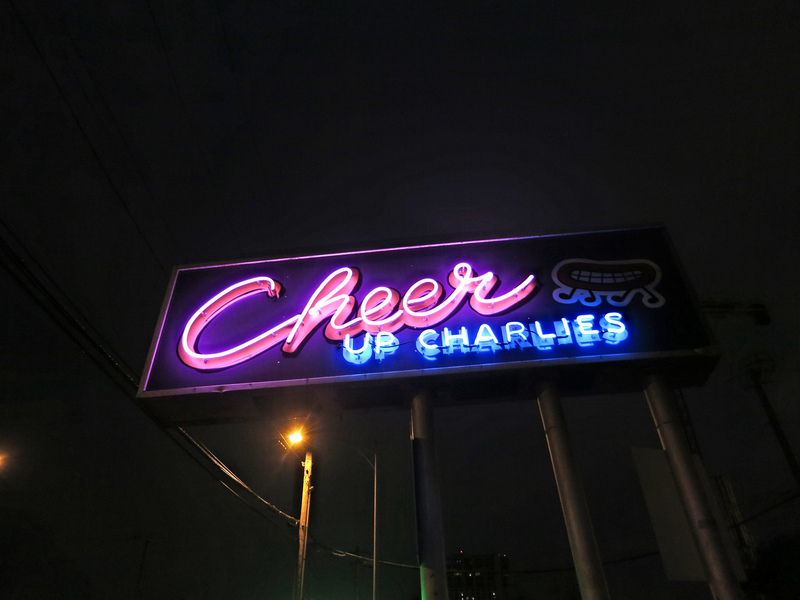 Arlo’s vegan food truck is parked right outside Cheer Up Charlie’s on Red River street, where our Sunday night VVC + Scavenger Hunt After Party will be held. 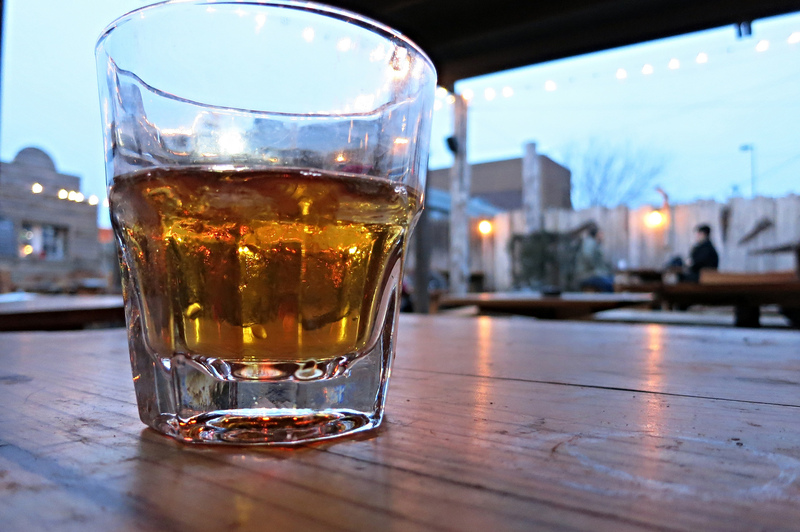 What we’re saying is this: VVC ATX = Vegan Vacation time. More to come! 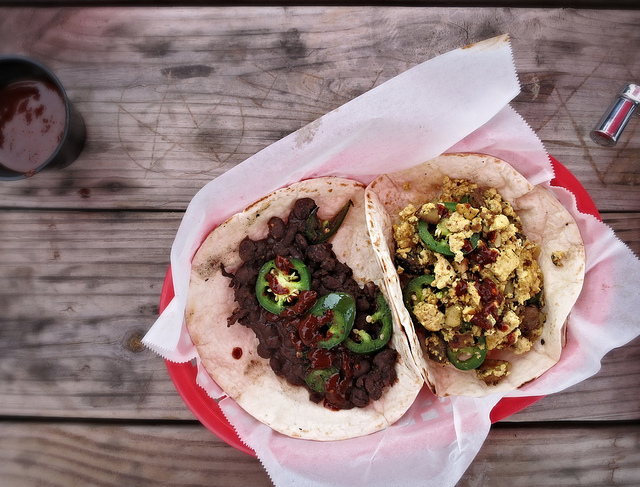 We’re compiling our very favorite eats along with picks from the Red Hot Vegans, Lazy Smurf & everyone else we talk with, for a very special Vida Vegan Con Takes Austin Must Eats of citywide dining recommendations. Stay tuned! 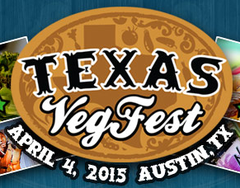 For now, see you at TexasVegFest!!! Want info on all things Vida Vegan Con weekend? Head this way. New Vida Vegan Con artwork by Josh Hooten, Herbivore Clothing. 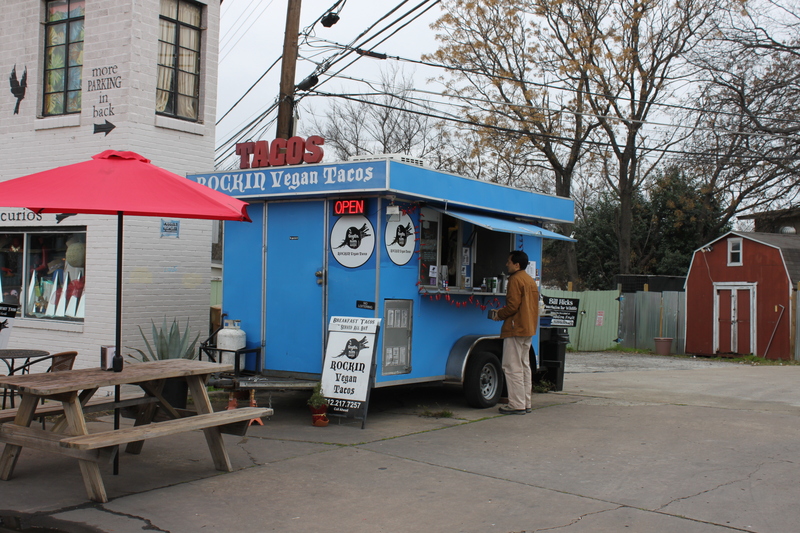 This entry was posted in Austin, News, Travel, Vida Vegan Con and tagged ATXVEGAN, Texas Vegfest, vegan travel, Vida Vegan Con, Vida Vegan Con III, VVCIII. Catching up with Jojo Huxster & Adventures in Travel Blogging! Hi! 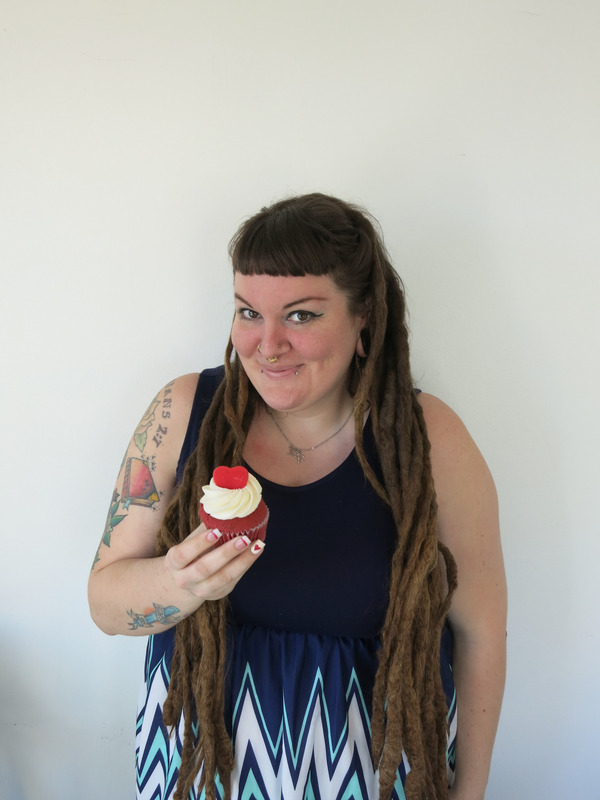 One of our speakers for Vida Vegan Con III that we’re super excited about is Jojo Huxster of Vegan in Brighton. She’s a travelin’ vegan gal who’s based in England and travels ’round the world exploring vegan foods and sights. We checked in with her to see what she’s most excited about for Austin, for VVC, and which American food products she likes best. Read on for Jojo’s faves! I have SO many Austin things I’m excited about! 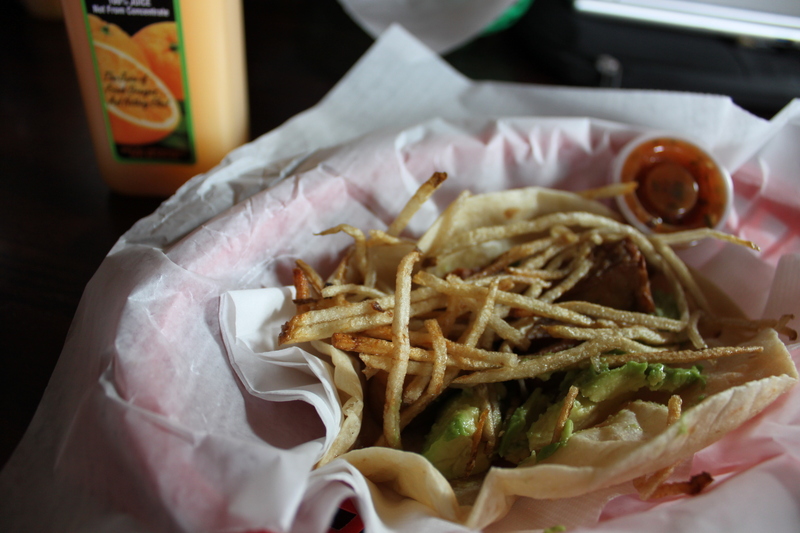 Top of my list has to be the fish taco from The Vegan Nom. Also Cap City Bakery‘s everything. And Via313 (Ed note: Detroit style pizza. Yum.). I also can’t wait to check out Rabbit Food Grocery‘s brick & mortar location. I’m totally stoked about having a kitchen on this trip too. I finally get to try all of the great American products that’d never survive the journey back the the UK. My list includes Gardein fishless fillets, a beast burger and the field roast en croute. And I totally wanna order from Lagusta’s Luscious despite them being pretty far away it’s still a helluva lot closer than Brighton. Thanks, Jojo!! Read her posts on Austin here, and check out Jojo’s class, Adventures in Vegan Travel Blogging at Vida Vegan Con this May in Austin. Register here. This entry was posted in News, Speakers, Travel. Let’s get you to Vida Vegan Con 2015! It’s been two long years since VVC2013 and we’re beyond excited to see you all in Austin! Let make this happen. First things first…Vida Vegan Con is open to all vegan content creators, bloggers, authors, chefs, entrepreneurs, activists community leaders, creative professionals, business owners, enthusiasts and their moms…and best friends…and partners…and pictures of their cats. And so on. Super curious? Read our F.A.Q. for more info, peruse this amazing speaker lineup, and then come join us! Pondering just a taste of VVC with Friday’s Bazaar? Applied for one of two VVC scholarships? So, how are you getting to Austin?? Epic vegan road trip? Savvy flier? Got those headphones ready for the bus or train? Walking down the street? 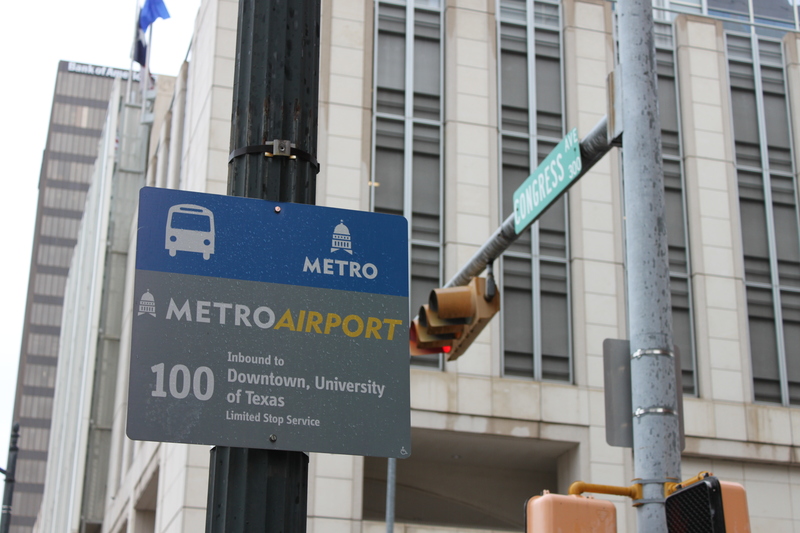 Whether you’ve decided just how you’re arriving for the festivities or are still contemplating the possibilities of nooch-powered teleportation, here’s a bunch of info on Getting To & Around Austin, TX. Okay, where do you want to stay? WITH US?!? We’ve seriously got a few select few rooms remaining for the on-site* room block right at AT&T Executive Education & Center. Here’s your info to snag a room. Now, your friendly organizers at VVC Headquarters are no stranger to hostels, AirBnB, crashing on friend’s couches and digging around Priceline and the like ( with occasional bouts of Jess becoming darkly Name-Your-Own-Price obsessive). 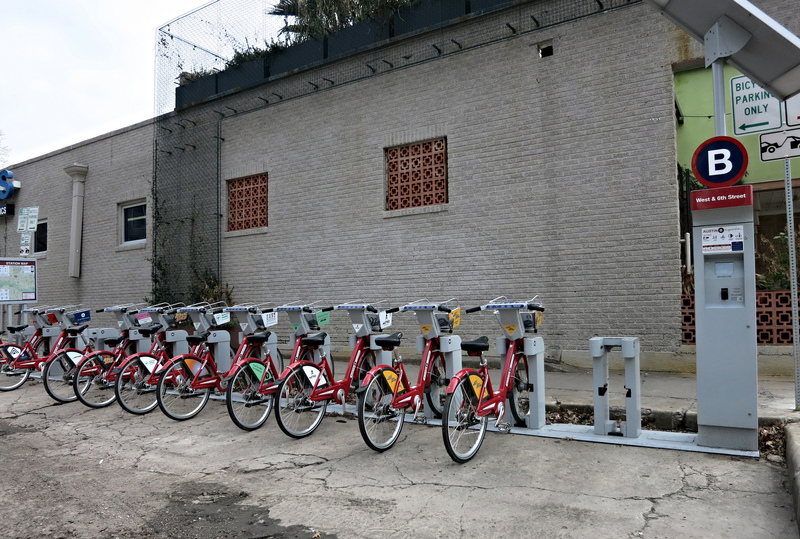 Rest assure, we’ve got a large list of hotels, hostels, bike and car rentals over here: VVC2015: Where to Stay. *Please realize that our on-site room block is where Saturday and Sunday conference happenings take place. Friday’s Bazaar is being held at The Marchesa Hall & Theatre. You are responsible for transportation between all venues as needed. The above map includes driving, bike and public transit directions between the two (plus, practically any & everywhere you’ll want to eat). This entry was posted in News, Tips, Travel, Vida Vegan Con and tagged ATXVEGAN, Austin, vegan, vegan travel, Vida Vegan Con, VVC2015, VVCIII. Vida Vegan Con organizers Janessa and Michele have returned even more enamored with Austin after a week of very important meetings and venue walk-throughs and just as necessary vegan food truck hopping. They met with old VVC family, new speakers, and met some local Austin business owners, cooking up all sorts of plans for May 2015. 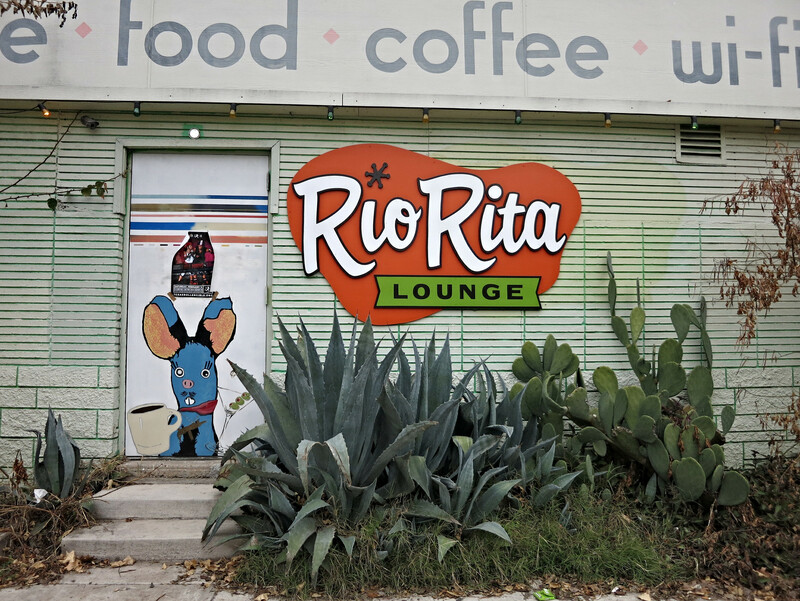 Did you spy them around town, margarita or black coffee in hand? 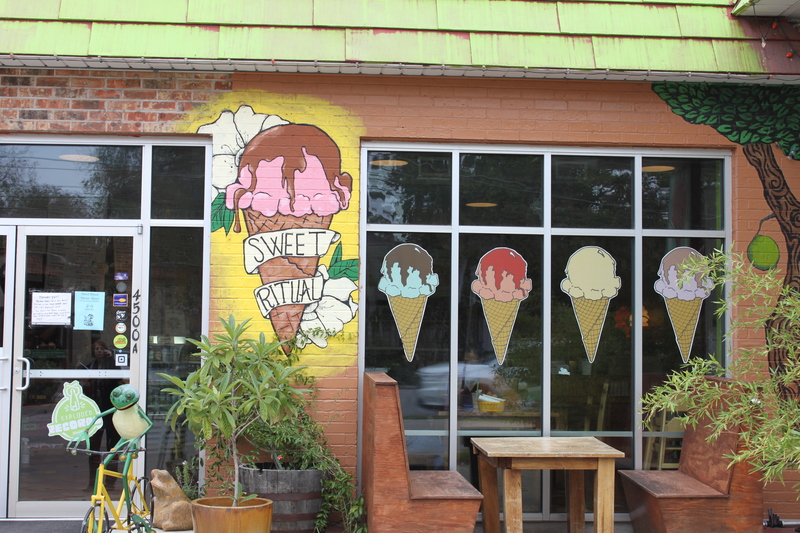 Sweet Ritual vegan ice cream parlour! Meanwhile, back in Portland, Jess held down the Vida Vegan HQ homebase (make that: whatever coffeeshop she happened to be running into, then being Tula) and remained obsessing over all things vegan mac & cheese with a certain sold out showcase taking place. Stay tuned this week for our last minute Vegan Thanksgiving roundup and do let us know if you’d like to be included! This entry was posted in Travel, Vida Vegan Con and tagged ATXVEGAN, Austin, Vida Vegan Con, VVC2015, VVCIII. 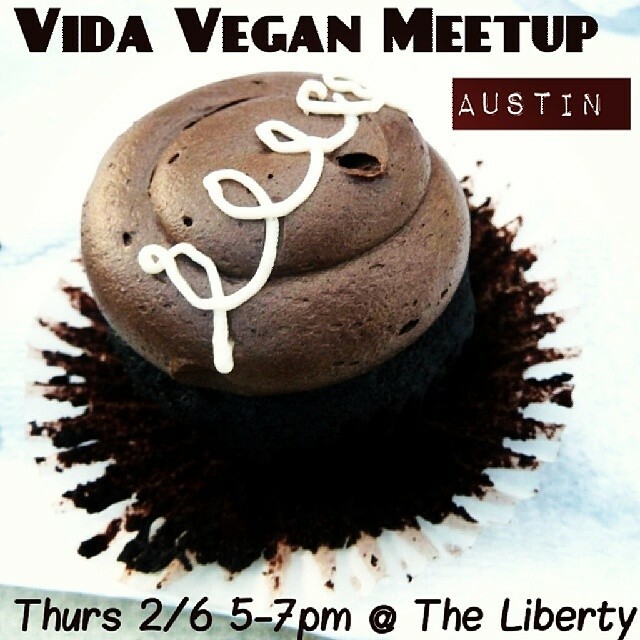 Attention Austin: Vida Vegan Meetup this Thursday at The Liberty! Hello, hello! Team Vida Vegan HQ returned from Vegas less than two weeks ago, and as usual, we’ve been hard at work, seriously inspired and sketching out the next three years on our calendar (er, smartphones and Google docs). There is so much in store! It’s no secret that we’re looking at a few very special cities for the much-anticipated Vida Vegan Con III, and that’s in addition to our other events. Read up on this post from way back when, aka last summer, for a reminder on just what those may be: Team Vida Vegan’s Always Cooking Something Up! 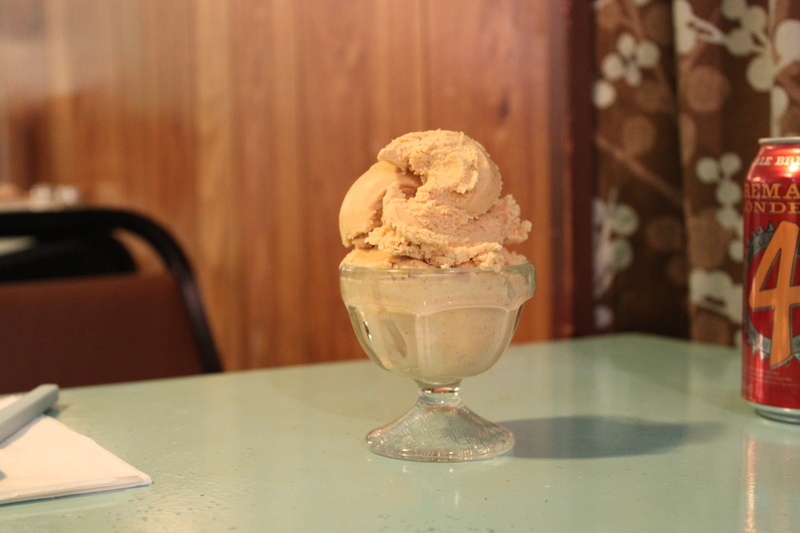 It’s also no secret that we adored our first location scouting trip to Austin last February, and with the local vegan community and dining scene growing to epic proportions, including the Capital City storefront, Mr. Natural’s brand-new new vegan brunch, and the new Wheatsville location, we’re coming back in mere days! Janessa, Michele and myself will all be there — coats, potential scarves and requisite sunglasses in tow — to hear your ideas for Vida Vegan Con III. We’d also like to know just what else you’d like to see and attend, and frankly, where we should get all those dang vegan tacos. All are welcome! We do have a ton of appointments at event venues booked around the Austin area already, and are totally open to more suggestions. Please contact us with any tips! And if you’d like to see more about our Vegas location scouting, check out the hashtag #VidaScoutsVegas. We’ll have a post up detailing the experience and a few of our favorite locations and meals up soon enough, have no doubt. 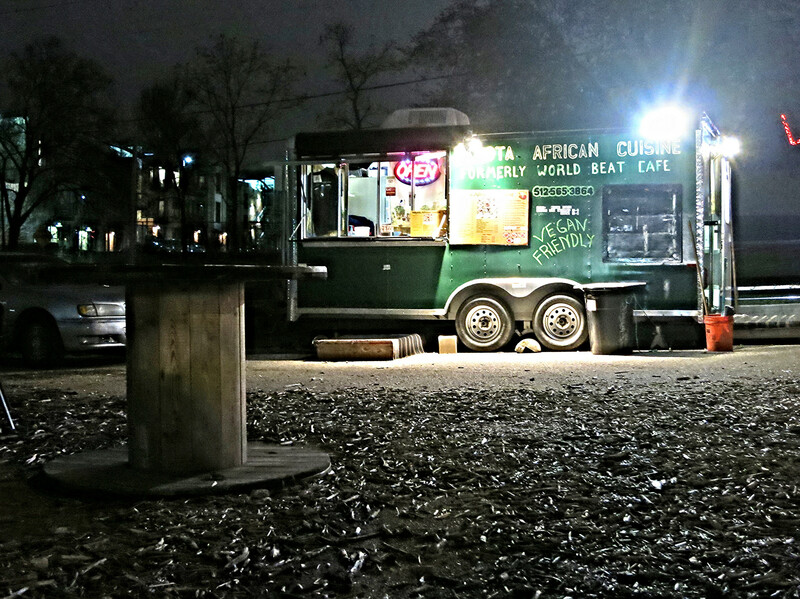 This entry was posted in Travel and tagged Austin, TX, Vegan Austin, Vida Vegan, Vida Vegan HQ. Vegan Drinks next week in Las Vegas at Bar & Bistro! Will you be in the Vegas area on January 16th? Get ready: Janessa, Michele and myself, your friendly Vida Vegan organizers, will be doing some location scouting and vegan eating this winter across the US, and coming to a city* near you! First up, we’re hitting Las Vegas, NV and wherever we go, we want to get to know the local vegan community. 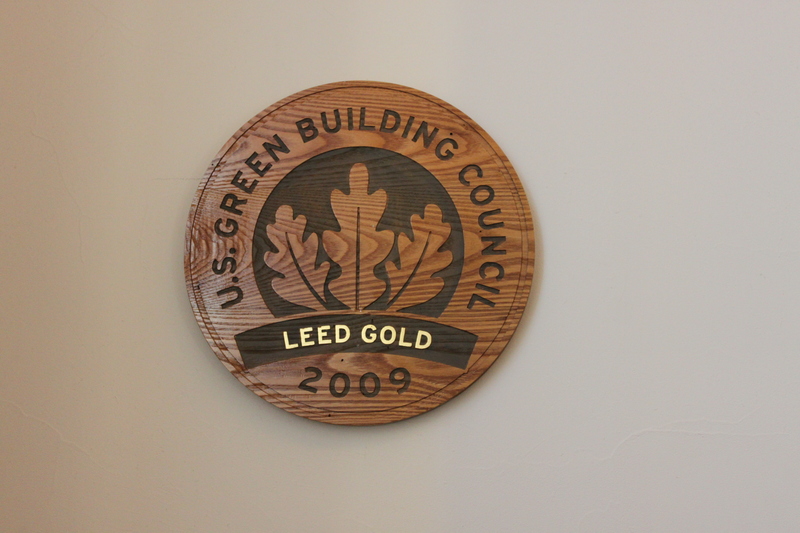 It’s what our growing series of events are all about, and for. If you’d like to talk about being vegan in Vegas, the internet, how to throw your own vegan events and festivals, where you’d like to see upcoming Vida Vegan events, or even where to get the best vegan tacos in town, come meet us for a ‘Vegan Drinks’-style Meetup on Thursday, January 16 at Bar & Bistro. Vegan Drinks is a social, networking event held in various cities, and while Las Vegas’ is temporarily on hold, we wanted to host a “pop-up” Vegan Drinks evening, if you will, while we’re in town. Bring an appetite, some cash (this is not a hosted event), maybe some business cards of at least your Twitter and Instagram handles, check out the Vegan Menu and we’ll see you there! *Okay, two cities within North America, so far. Many, many more to come. We’re open to suggestions! This entry was posted in News, Travel and tagged Las Vegas, Vegan Vegas, Vida Vegan HQ. 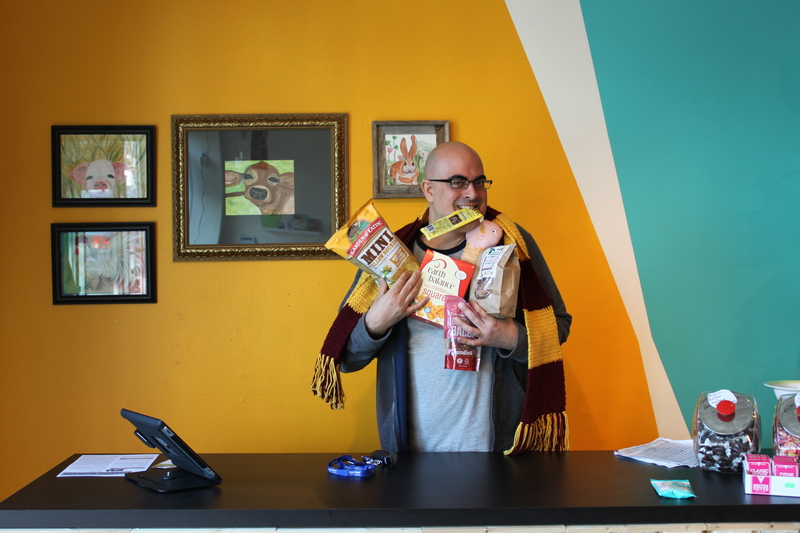 It’s now time for yet another round in our continuing series of personalized Portland Picks! These recommendations are from trusty Portland vegan locals and lovers, and we bet all our attendees, whether you’re arriving early or not, want to squeeze in a little time outside of the busy, busy conference schedule to wander in the vegan wonderland. This time, we get a lover, Austin vegan eats expert, taco enthusiast and tour guide extraordinaire, Lazy Smurf. 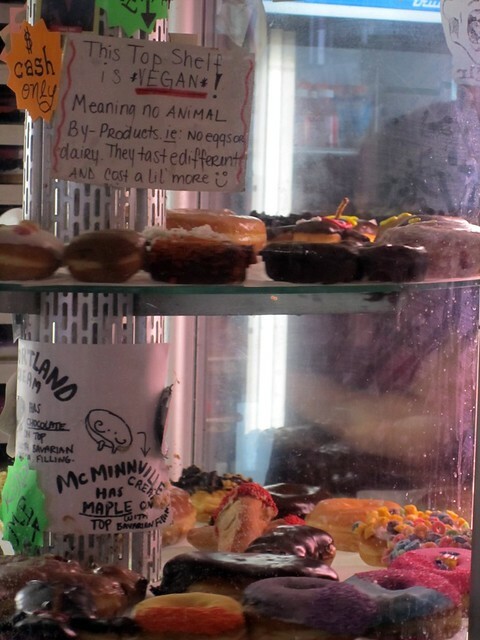 You are going to hear again and again that you should get Voodoo Doughnuts. Maybe that doesn’t sound as exciting as it once did since vegan doughnuts are more plentiful out in the rest of the world but Voodoo still has the best I’ve every had. They instantly take me back to my childhood. If you decide to bring one of their trademarked boxes back home on the plane I promise every single person you make eye contact with will ask you for one, so bring extra to share! The second location (Voodoo Too) doesn’t have long lines but they are all cash only and they are all open 24/7. When I come to Portland Voodoo is usually my last stop but the FlavourSpot is usually my first, the vegan sausage with maple cream sauce folded into a waffle is something I long for. Make sure you go to the spot on N Fremont and Mississippi and then you can wander around Mississippi Ave when you are done. VooDoo: So Many Vegan Doughnuts. Walking around downtown make sure you check out Ground Kontrol Arcade, the little Japanese toy store around the corner, Compound, the Museum of Contemporary Craft, and the comic & zine shop Floating World Comics, and of course Powell’s City of Books where, in addition to every book, they also have lots of fun souvenirs. People in the northwest are *way* into getting naked and soaking in hot water. If you want to try but don’t have time to hike to the natural hot springs out in the forests then check out the Kennedy School or Common Ground Wellness Center. It isn’t expensive and you can check the site if you want to stick to your preferred gender and even wear a bathing suit if you are a nevernude*. Whenever I get to Portland one of the first things I like to do is sit down the with alternative weekly newspaper the Portland Mercury, it’s a really fun paper and you can learn a lot about what’s going on in town and what’s going on that weekend. This entry was posted in Travel and tagged Lazy Smurf, Portland, Vida Vegan Con, Vida Vegan Con II, VVC2013.